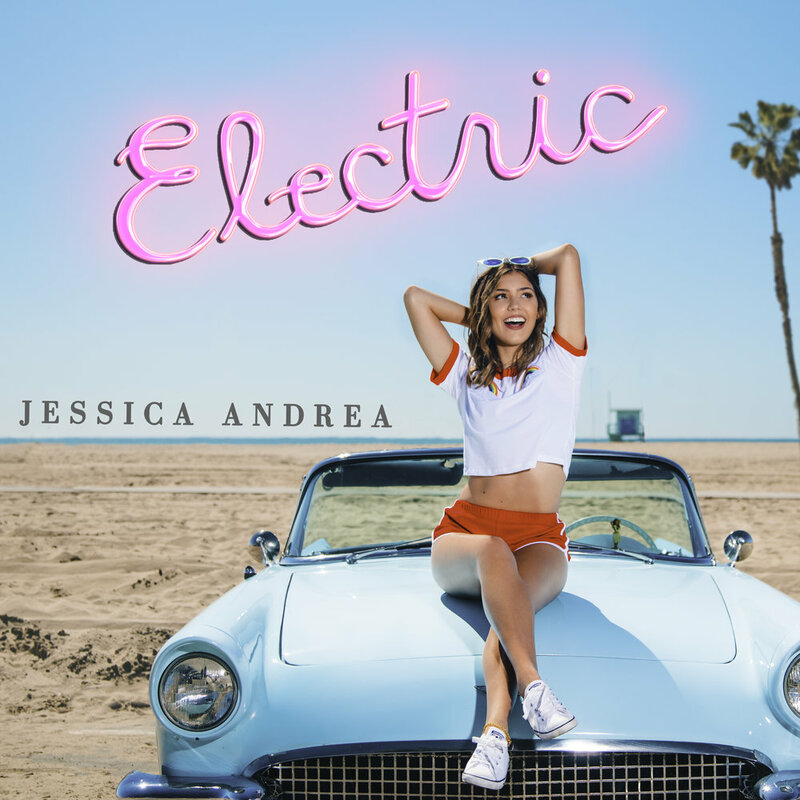 Earlier this year Jessica Andrea and Logic asked me if I was interested in shooting Jess's EP cover and promo photos. Of course I was excited for Jess to finally put out some music and thankful for the opportunity to shoot her first EP cover. The original idea was fun and energetic like Jess. We were going to shoot in a super bright pink room at the Madonna Inn. We started talking about ideas and themes of the EP and decided that we could do something better. We spent weeks talking about different ideas and looks that we wanted to achieve and finally settled on the summer and beach vibe. We wanted to do something simple and fun that really showed off who Jess was and what this EP was all about. We wanted to originally get an old school VW bus and shoot in Malibu but it just wasn't working out how we wanted it to. Instead we found this beautiful blue thunderbird and we both fell in love. I had the pleasure of picking up the car and driving it to location. I have never understood people driving around to just cruise until i drove this car. It was a weirdly beautiful experience and a blast! My roommate fellow filmmakers Matt Day and Mitchell Overton came out to help with the shoot along with Jess's friend Taylor who did her makeup. Taylor is also the badass who did the cover design with all the text. We shot everything on a 5D Mark IV with one Pro-Photo strobe. I actually don't remember which one we used but we did just the bare bulb, no diffusion or anything. It was a very successful shoot and I hope you all enjoy the photos!